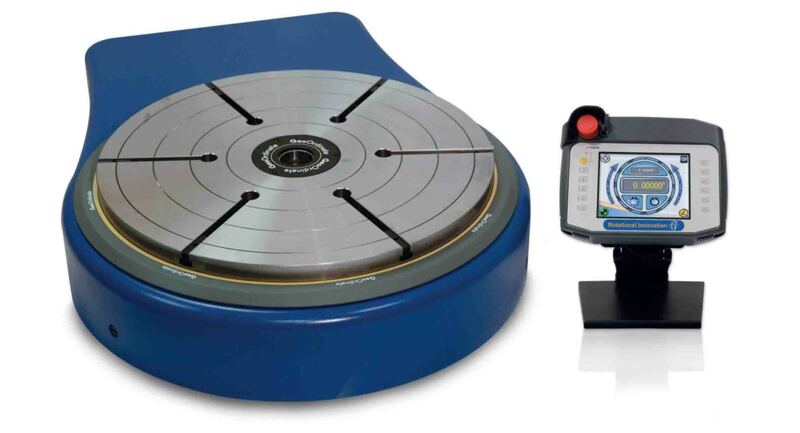 The GeoOrdinate has been designed specifically for the inspection of large and heavy components and is fully compatible with any shop floor environment whilst maintaining world class accuracies more commonly seen in the standards laboratory. The GeoOrdinate combines an ultra-precision radial mechanical bearing with either a high load capacity roller thrust bearing or air lubricated hydrostatic bearing to ensure exceptionally good axis motion geometry of <0.5um. ArcMotion Power Driven Axis: The motion of the table’s axis is controlled by an intelligent drive and rugged GUI touch screen allowing the operator to jog or index the table to a pre-programmed angular position, RS232 data output compatible. GeoOrdinate capabilities deliver new levels of accuracy, flexibility and performance over a wide range of calibration and inspection applications. 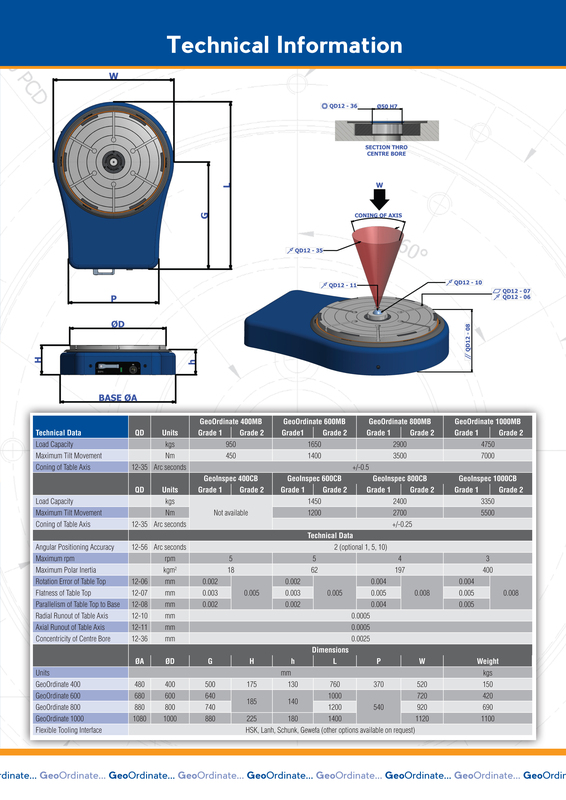 The sub-arc second and sub-micron circular geometry reduces process measurement uncertainty to a level here GeoOrdinate can be considered your measurement reference standard. GeoOrdinate’s cleverly designed bearing assemblies not only guarantees the highest precision available but a very high load carry capability. Compatibility allows GeoOrdinate to easily integrate into a wide range of metrology applications. Standard sizes range from Ø400mm to Ø1000mm available with 2 bearing configuration to better suit your individual requirements. GeoOrdinate’s features have been designed to help you get the job done. GeoOrdinate comes fully integrated with RPI’s rugged and programmable high resolution user interface the ArcMotion or optional Axia NC control for third party interface. The integration with ArcMotion our high resolution motorised GUI significantly reduces process times while drastically reducing errors associated with manually positioned devices. Air pads can be integrated into the base to enable the rotary table to glide effortlessly over flat level surfaces. Flexibility and a range of accuracies allow the GeoOrdinate to fulfil a wide range of applications.